Spring is here and so are the traveling opportunities for exploring the globe. Travelers are busy preparing to make the most of spring and visit the most trending holiday places in the next few months. The foremost of these preparations is selecting a mobile wi-fi to carry to use on one’s travels. Mobile wi-fi routers are pocket-sized routers that help a traveler to connect to the internet while they are moving. While there are several mobile wi-fi routers to choose from, travelers should know some crucial features in a wi-fi before selecting them. We have given here a walkthrough that will assist any traveler to select the correct mobile wi-fi on their travels. 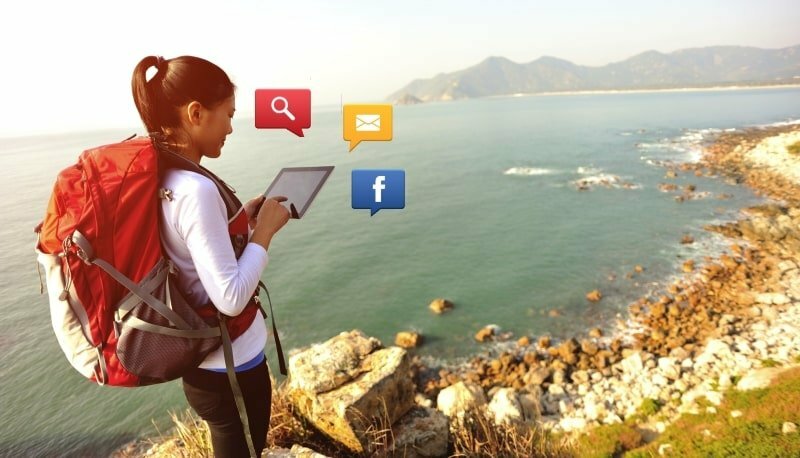 Travelers while exploring different travel locations constantly multitask from their smartphones and tablets. This can be in the form of entertainment, sending communications through e-mails & chat, making live calls, playing online games, seeing videos, seeking directions to an eatery or a restaurant or simply post photos to their social media accounts. Any mobile wi-fi router should be able to assist in these tasks easily. The router should have at least 5GHz wifi support than the usual 2.4GHz routers available in the market. Tip: Huawei E5783 Mobile Hotspot has the necessary wi-fi support for ultra-fast surfing. Running out of juice during travels at critical moments can be a big turn off for any traveler. Most of us use internet 24/7 and always like to be connected wherever we are. Most mobile wi-fi routers don’t emphasize this feature. Ideally, a 5000 mAh battery can last for more than a day and also serve as a power bank. While buying mobile wi-fi routers travelers should keep this critical aspect of pocket hotspots in mind. Tip: Huawei E5788 4G/5G Touchscreen Mobile WiFi & Powerbank is an excellent choice as a mobile wi-fi router to carry on one’s travels. Taking photos or storing critical information in SD Cards is a common habit amongst travelers. This may be of their DSLR cameras, smartphones and in some cases music devices. With the use of SD Cards sensitive data can be stored as backup. For instance, the action camera or smartphones might get damaged during your journey. Taking a backup in the SD Card is a safe bet to protect those travel memories. The mobile wi-fi should have a feature to read the SD Cards for such sticky situations or storing the extra data. Tip: TP Link M7450 Mobile Hotspot supports up to 32GB of optional storage. Mobile wi-fi routers often run into network issues during travels due to lack of signal. This can easily frustrate a traveler while they access the internet. Having an interface or a display in the mobile wi-fi can easily inform the working condition of the router and they can also learn about any issue in case the internet stops for no reason. Another key benefit of having a display is tracking the amount of data a traveler is using during travels. The visual display shows the network name, battery level, speed, and current data usage to a user. For tourists using the Pay as you go plan tracking the data, they use is vital for saving roaming charges. Tip: Huawei E5372 4G Wi-Fi Hotspot offers a wide display with fast 4G Wi-Fi speeds. The first hurdle faced by travelers once they buy a mobile wi-fi is making it work or in technical words setting up the router. These include setting the API Setting and the manual selection of the preferred network if required. Thanks to the latest generation of mobile wi-fi routers, these can be done with the touch of a button or an app. Tip: Huawei E5330 Pocket Wi-Fi enables you to connect up to 10 devices at the click of a button. In most of the countries, mobile wi-fi routers are locked to work with only a partnered sim card. This severely reduces a traveler’s chance for seamless connectivity and their freedom to use a sim card of their choosing. Tourists should only vouch for branded mobile wi-fi routers such as Huawei, TP-Link, and other similar products. They should also keep in mind that the mobile wi-fi they are buying should also be unlocked or technically speaking sim free. Tip: Huawei E5885 4G+ Mobile Hotspot & Powerbank comes unlocked so you can use any SIM card inside. The WorldSIM vision is to make global communications a local affair by allowing travelers to use calling and data services at local prices similar to back home. Our goal is to provide destination tailored SIM Cards coupled with versatile travel accessories that can be easily used worldwide. With hundreds of roaming partners, we are currently offering free international roaming in over 118 countries and adding more of them all the time. The success of the SIM inspired us to develop many more travel accessories and robust global communication service. We at WorldSIM are continuously assisting travelers when they go abroad by adding new products all the time.